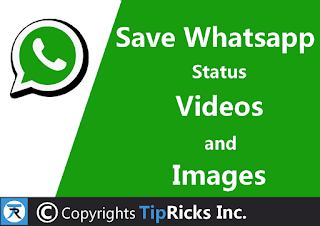 Download or Save Whatsapp Status Video and Images in your Android Mobile Phone with out any software to watch it later, to send it to your friends or to share it on other social media platforms. 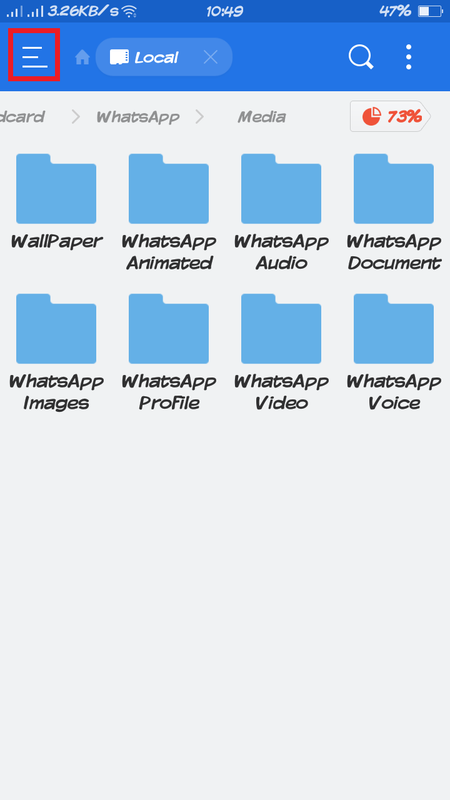 As you all know guys WhatsApp in improving day by day to make it more comfortable to its users. 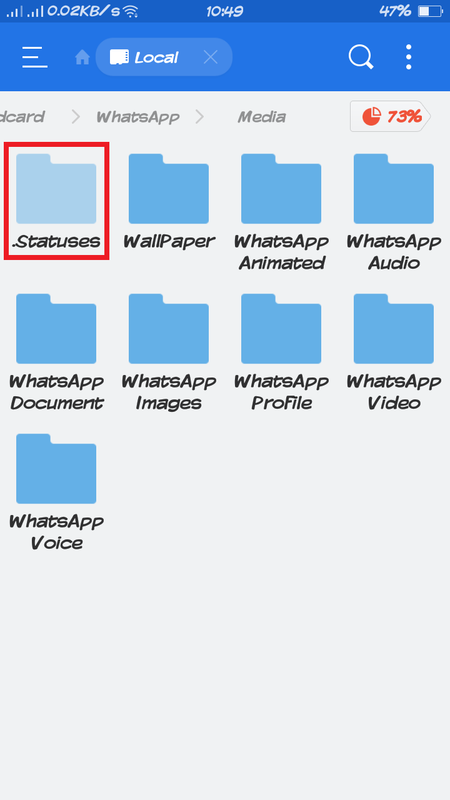 As WhatsApp included a new feature of Status to their app. 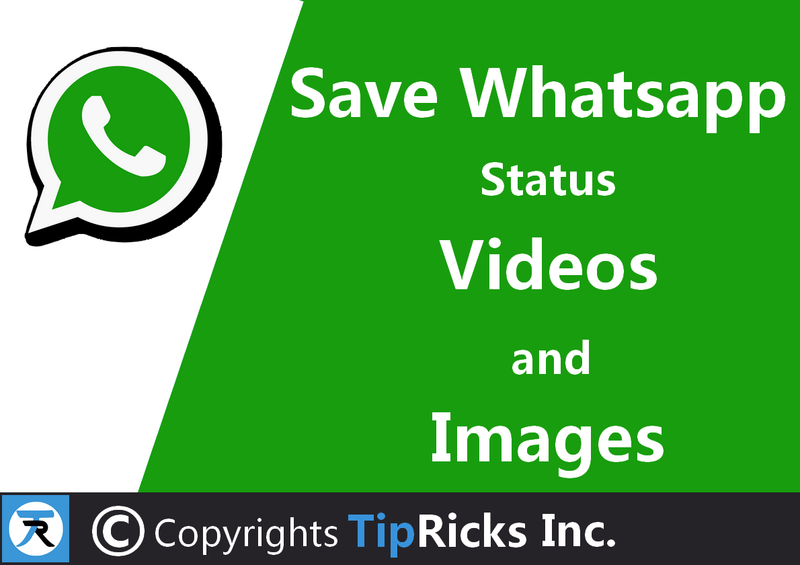 In this post let see how we can save WhatsApp status Images and Videos. 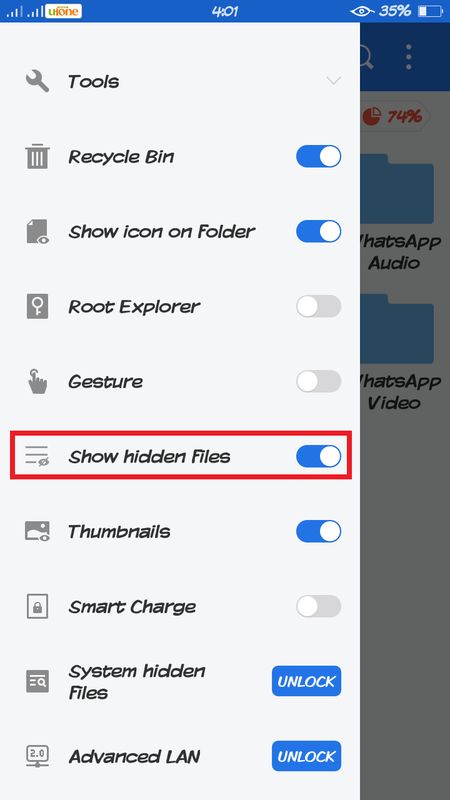 Before proceeding further to save WhatsApp status video first need open or watch the video in WhatsApp, in order to load the status video locally. Open the status video or picture of your friend and watch or load it. 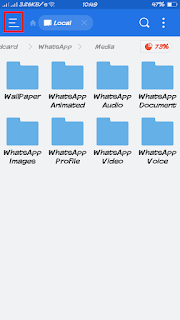 In order to save Whatsapp Status Image or Video of your friend you need to have a file explorer, We prefer ES file Explorer available on play store for free. 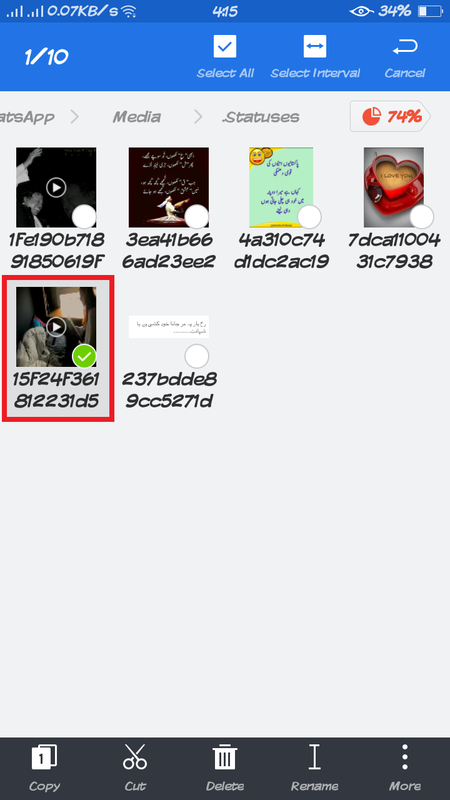 You can see only statuses, which you watched or loaded in Whatsapp. Open the file explorer application on your mobile. 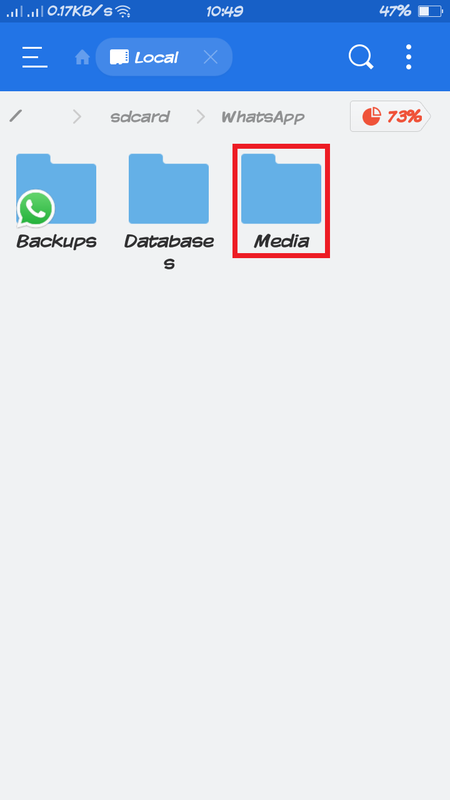 Then open the Media named folder. Then click three dots at the top left corner of the screen. 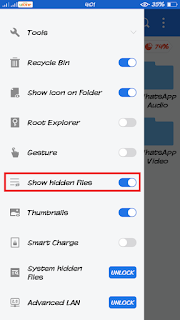 In the option enable the Show Hidden Files option. A folder will appear in light color. 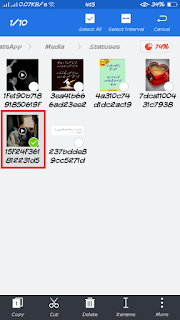 Open the folder and now you can see both the videos and images, which are currently status of your friends. The videos and images are saved only for 24 hours they will automatically be deleted as your friend delete the status. So copy the video or image and save it in your mobile phone as a local copy to watch it later. 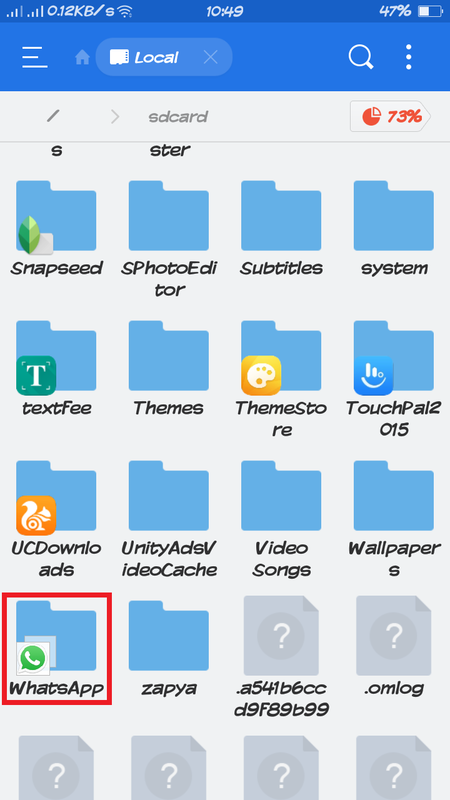 First, you will have to select the files that you want to save locally. 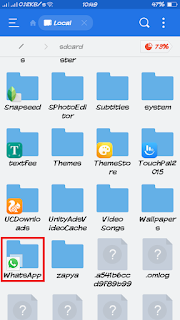 For this purpose long press a file to start selecting. Press the copy button at the bottom of your mobile screen. And paste it where you want to save the files. 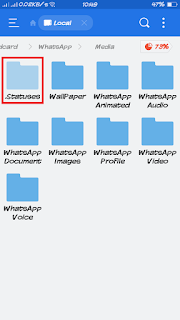 So this is the detailed article on How To Download Or Save Whatsapp Status Video and Image To Your Android Phone. 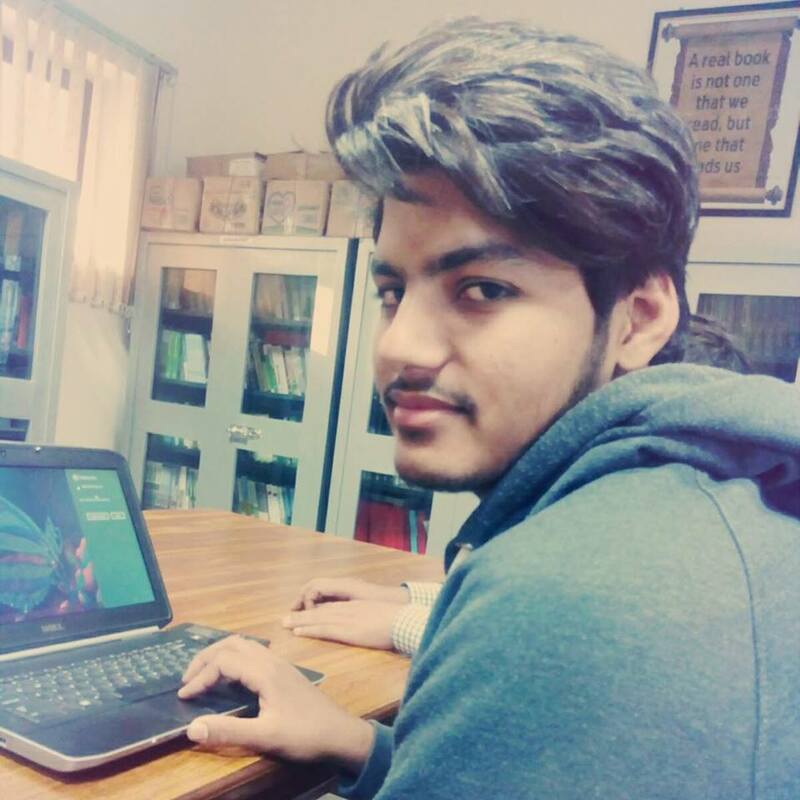 If you face any problem or have any question in your mind ask me below in comments. 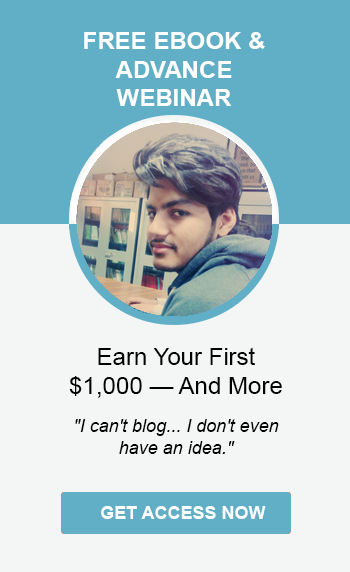 If you like this article share it with other so that they can also get the benefit from it. Stay happy and blessed. Ameen! Ok! I recommend you to go through Whatsapp status video website and get more latest trending collection of status Thanks!